The Senate advanced the $36.5B disaster spending bill passed by the House, setting up a vote by the full Senate tomorrow. HUD Allocates CDBG-DR to Texas. HUD allocated $57.8 million to Texas for Hurricane Harvey recovery through the Community Development Block Grant – Disaster Recovery (CDBG-DR) program on October 20. The funds were described as “down payment” for recovery by HUD Secretary Ben Carson. HUD relied on the best available FEMA date to allocate the funds. HUD decided to allocate this CDBG-DR funding because Texas has an existing disaster recovery plan from CDBG-DR funds awarded for 2016 flooding. The FY17 appropriations act included $400 million in CDBG-DR to support major disasters in 2015 and later; HUD had previously allocated $342 million of this amount to disasters nationwide. As additional data becomes available, HUD will use that data to allocate $7.4 billion appropriated by Congress in September for all 2017 disasters including Hurricanes Harvey, Irma, and Maria, as well as the California wildfires. Waivers of CPD Programs. Neal Rackleff, Assistant Secretary for Community Planning and Development (CPD) sent a Memorandum to all CPD Field Office Directors, Deputy Directors, and Program Managers on October 13 specifying the availability of regulatory waivers for jurisdictions in major disaster areas as a result of Hurricanes Harvey, Irma, and Maria. The waivers apply to four CPD-administered programs, Community Development Block Grants (CDBG), HOME Investment Partnerships (HOME), Housing Opportunities for Persons with AIDS (HOPWA), and Emergency Solutions Grants (ESG). 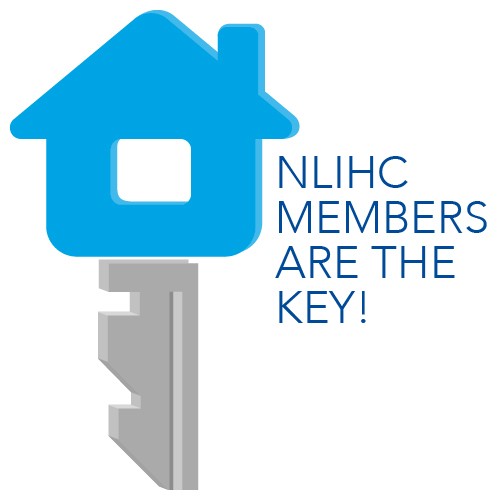 NLIHC wishes readers to note that the CDBG program discussed in the Memorandum is the regular CDBG program for Entitlement Communities and States; it does not apply to any CDBG-DR funds. For each waiver, the Memorandum describes how long the waiver will be in place. Key Waivers for CDBG and HOME are highlighted here. The public comment period for substantial amendments to the Annual Action Plan of the Consolidated Plan is reduced from 30 days to seven days. The 15% limit on the use of CDBG for public services is removed. Grantees may provide Emergency Assistance Payments for up to six months (instead of three months). Emergency Assistance Payments could include assistance to pay rent, utilities, food, clothing, etc. Jurisdictions may use up to 20% (up from 10%) of their HOME allocation to cover administration and planning costs due to the disaster. The 25% jurisdiction match requirement is waived. The requirement that 15% of a jurisdiction’s HOME allocation be used by Community-Based Development Organizations (CHDOs) is waived. NLIHC notes that this could significantly disadvantage mission-driven community development organizations. FHA Extends Foreclosure Relief. HUD’s Federal Housing Administration (FHA) is extending its initial 90-day foreclosure moratorium for FHA-insured homeowners impacted by Hurricanes Harvey, Irma, and Maria for an additional 90 days due to the extensive damage and continuing needs in hard-hit areas. FHA is extending this foreclosure relief in Presidentially declared counties and municipalities where the FEMA is operating its Individual Assistance Program. FHA Mortgagee Letter 2017-15 instructs lenders and servicers to suspend all foreclosure actions against borrowers until the following dates: Hurricane Harvey – February 21, 2018, Hurricane Irma – March 9, 2018, and Hurricane Maria – March 19, 2018. D-SNAP. Households affected by the wildfires in Northern California who are not normally eligible for may be eligible for USDA’s Supplemental Nutrition Assistance Program (SNAP) may be eligible for help buying food through USDA’s Disaster Supplemental Nutrition Assistance Program (D-SNAP) for one month. Residents who meet the requirements in seven affected counties are eligible. Current SNAP participants will receive additional benefits. Unreasonable Rent Hikes: Under California Penal Code landlords are prohibited from raising rent prices more than 10% on housing for 30 days after a declared state of emergency resulting from natural or man-made disasters, such as fire, earthquakes, etc. Residents who have experienced price-gouging, are urged to contact their local District Attorney’s office or report it to the CA Attorney General’s office. If a resident thinks they are being targeted for price-gouging because of race, color, national origin, familial status, disability, or immigration status, this is a fair housing issue, and are urged to call the FHANC office. Reasonable Accommodations for Renters with Disabilities: If a renter who has been impacted by the wildfires and has disability-related concerns, a Housing Counselor may be able to assist them with a reasonable accommodation request based upon the household’s disability-related need. For instance, if their home is still considered habitable but due to a household member’s disabilities, and if the disabled member is unable to safely use and enjoy the premises, FHANC can help discuss the household’s rights. FEMA Approves More than $500 million for Maria and Irma Assistance. A FEMA media release indicates that more than 800,000 have registered for various types of disaster assistance. $114 million has been distributed to individuals for housing and critical needs assistance and SBA has approved $2.3 million in disaster assistance loans. More than $384 million has been awarded for public assistance to state and local organizations to perform emergency measures such as the use of temporary generators, flood control, safety inspections, and debris removal. Included in the public assistance is $215 million to the electric utility and $70 million to the water utility. $99 million was awarded to public and nonprofit organizations. Extended Deadline to Register with FEMA. Survivors of both Hurricanes Maria and Irma have until December 18 to register for assistance with FEMA. The extension is at the request of the territory’s government in light of communications and power outages. Migration from Puerto Rico. Post-Hurricane Maria, many Puerto Ricans have left the island to receive proper medical attention or find stability in the continental U.S. Hundreds of Puerto Ricans have arrived in Philadelphia and the surrounding suburbs where there is an Office of Emergency Management’s Disaster Services Center to help provide assistance for newcomers. Migration from the island will continue, leaving many to wonder how the exodus will affect poverty on the island long term. TSA Extension. The new checkout date for the Transitional Sheltering Assistance (TSA) program is November 7. The TSA program pays for survivors to stay at hotels while they look for long-term housing. As of October 19, there were 33,113 people checked into hotels through FEMA’s TSA program.